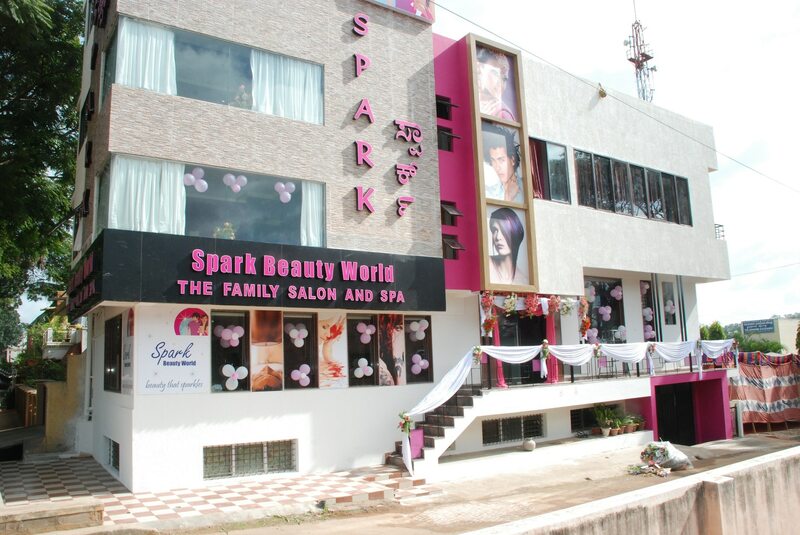 Spark Beauty World The Spark Beauty World Family Salon & Spa is Mysore’s Largest Ultra-Modern Luxury Family Salon & Spa where you get all services under one roof. We provide various service such as Hair spa, Hair colouring, Facial, Manicure, Pedicure etc all at affordable rates. SPA in Mysore.As world is becoming more and more competitive, and so our stress and frustration, which will lead to more and more toxins in our body and that brings poor health and low immunity.With our various SPA treatments, you will be relaxed and all the toxins gets released. Ozone therapy in Mysore. It's a form of alternative medicine treatment that purports to increase the amount of oxygen to the body through the introduction of ozone into the body. It helps in reducing dandruff, hair fall, acne problem etc. Spa in Mysore. As world is becoming more and more competitive, and so our stress and frustration, which will lead to more and more toxins in our body and that brings poor health and low immunity. Spa in Spark will help you feel rejuvenated.